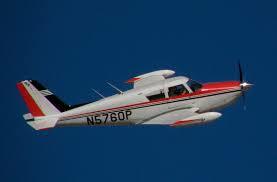 On a hot summer day, I was flying my single-engine Piper Comanche from Schaumburg, IL to Indianapolis, IN. I decided to fly higher than ever before (9000 feet). With the tailwind, I touched 200 mph. The sky was crystal clear; I could see across Lake Michigan. I felt like I was in the stratosphere and could see forever! It was euphoric! Uh Oh! Euphoria signals danger for a pilot; it’s a symptom of hypoxia. Sure enough, my fingernails were dark blue. Hypoxia is – “a deficiency in the amount of oxygen reaching the tissues.” Hypoxia has caused pilots to fall asleep and crash. Can I hang on for a bit, the tailwind is really moving me along? Not worth the risk – I pushed the nose down and rapidly descended. When I landed my fingernails still showed some blue. “I’m only going to say this once … This is all headed for a Minsky moment. … A Minsky Moment is when a market fails or falls into crisis after an extended period of market speculation or unsustainable growth. “The New Year isn’t even two weeks old, and already $2.1 trillion has been added to the market capitalization of global equities. The market is verging on such overbought levels that not even reliably bullish analysts can keep up with the new highs. …. The bull market, now in its ninth year, has finally reached the point of euphoria, said Morgan Stanley’s U.S. equity strategists. Right after the first bank bailout, I asked the late Glen Kirsch, “When the government creates billions out of thin air, doesn’t that lead to high inflation?” Glen was emphatic that high inflation is always the result. He encouraged me to buy gold and move some assets offshore denominating them in foreign currencies. He recommended some investment newsletters. They reinforced my belief, urging readers to diversify, buy gold, inflation is coming – protect yourself. Over the next nine years government debt skyrocketed, (the Fed monetized over $4 trillion), the stock market hit historic levels, while interest rates and inflation stayed low. During that time we’ve been bombarded with warnings (and scary statistics) that what appears inevitable, is looming imminently on the horizon. “When positioning and sentiment reach levels that were never seen before … it may well be that it means something for once. What about the pending meltdown? For almost a decade we’ve anticipated the Minsky Moment, yet somehow the Federal Reserve has managed to magically levitate the markets. One would think that doubling the government debt, and the Fed flooding the system with money to bail out the banks would lead to high inflation and the inevitable stock and bond market crash – but it hasn’t – yet. Why not? When confidence is lost in an individual currency, investors trade into other currencies. Hyperinflation is when they dump it at all costs. When the Fed flooded the banking system they were lowering the value of the dollar. The Bank of Japan and the European Central Bank (fearing a cheap dollar would hurt exports and having problems with their own banking systems) also followed suit. By devaluing in unison there was somewhat relative currency parity. It’s easy to suspect their efforts were coordinated. “… (Central Banks) incite investment banks and other willing parties to bet against a rise in the prices of gold, oil, base metals, soft commodities or anything else that might be deemed an indicator of inherent value. The Fed has reversed course, now what? “[W]hen it is time for us to sell, or even to stop buying, … there is every reason to expect a strong response. Well, we’re now there – the Fed has committed to unloading over $4 trillion in government debt. David Stockman explains the global magnitude with world banks in his article, “Washington’s Bloated Big Engine That Can’t – Why the Shutdown Threat Matters”. “…. (T)he $100 trillion global fixed income securities market is about to clear based on real money savings, not central bank fiat. This will soon become known as the Great Bond Market Reset, and that development will knock the stuffing out of equity and risk asset markets…. …. Nevertheless, … the stock market keeps trucking steadily higher. …. This time is apparently different (Emphasis mine) …. Wall Street’s … projecting growth of 20% in 2018 and a further 11% in 2019. What they aren’t projecting, of course, is the huge headwinds to earnings growth implicit in the aforementioned collision of the Fed’s unprecedented QT program and the massive $1.2 trillion borrowing requirement of the Treasury next year. Chuck also warns, “…. This time will be different” … I just cringe when I hear those words!” He adds that the Saudis and Russia have also cut back, who’s left to buy our debt? The Central Banks flooded the world with unprecedented debt, pumping the stock and bond markets to stratospheric levels. It’s not just a US problem. When the plug is pulled, the market will not have time to look at their fingernails, it will be too late – The incoming Fed chair warned that “big losses lie ahead when rates come up down the road”. Could we still have a near-term melt up? Sure. Could the recent tax cuts help the US economy grow, preventing a major crash? I wouldn’t bet the farm on that one. Ten-year Treasury yields have doubled since July 2016 and the bulk of the bond selling has yet to begin. I’ve got some exciting news today! The stock and bond markets are in the stratosphere, it’s not the time to allow euphoria to lull us to sleep. As Chuck Butler warned, hold assets that protect against inflation, keep your stop losses current and wait – good buying opportunities will present themselves. Last Thursday, dear friends Stew and Sammy W. invited us to a ceremony at the Anthem Veteran’s Memorial. The ceremony was large, probably 25 veterans being honored. 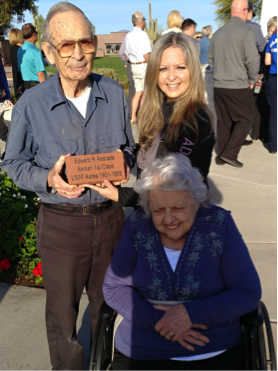 Families can honor their veterans by purchasing a paver, which becomes a permanent part of the memorial. The family got together and bought one for Sammy’s dad, a Korean War Veteran. It was quite an emotional experience. As her father kneeled to be photographed with his paver, her mom was crying, along with many others. A couple of elderly veterans made it a point to walk over and gently pat her mom on the back – nothing needed to be said. I was moved by several who attended. One paver appeared to be placed by a young widow, with a photo of a serviceman and his dog at her side. Families came together with many hugs and tears, creating memories that will last forever. Every time I go to an event like this I realize how lucky I was. I was too young for Korea and honorably discharged before Vietnam got going. I go to honor those who were not so lucky. If you are remotely interested, I encourage readers to put a trip to the memorial on your bucket list. It’s becoming world famous. Each year on Veteran’s Day we have a ceremony and the crowds keep getting larger. 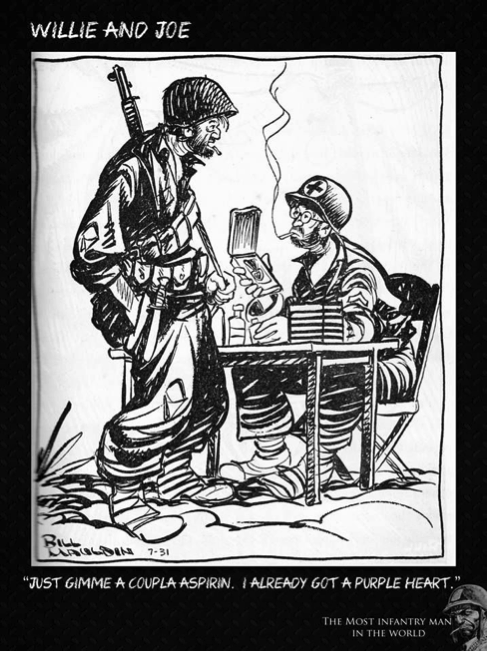 We owe a lot to those who served our country!